Generates a field containing the quality metric for each element. Useful for visualizing mesh quality. Computes per-element quality metrics and puts the value in a field. 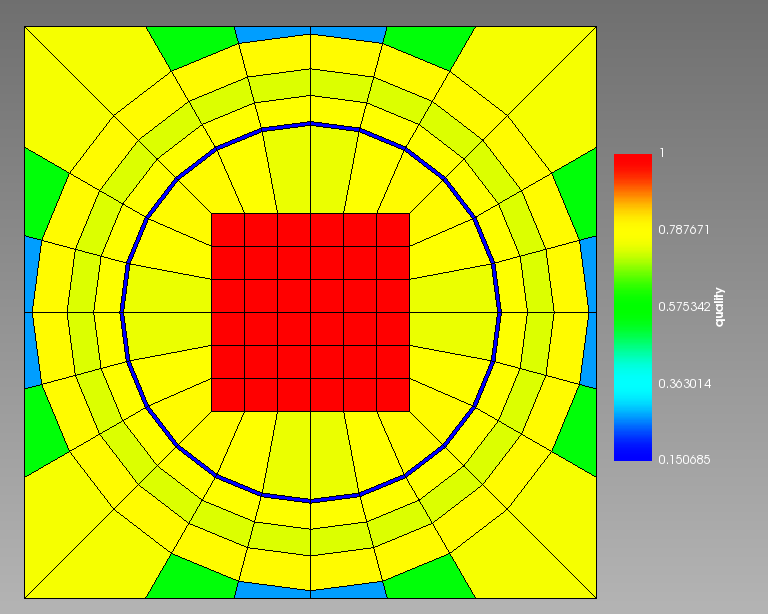 An example is shown below using the SHAPE metric on an unstructured mesh. In this case "perfectly" shaped elements have a value of 1.0 and as the quality degrades so does the value of the shape metric. The SHAPE metric is a good one to use for quads and tris. You can see the list of all possible metrics below in the documentation for the metric parameter. metricThe quality metric to use. Description:The quality metric to use.